Knocking Out Melanoma: Does This Triple Combo Have What It Takes? It would be great if we could knock out cancer with a single punch. 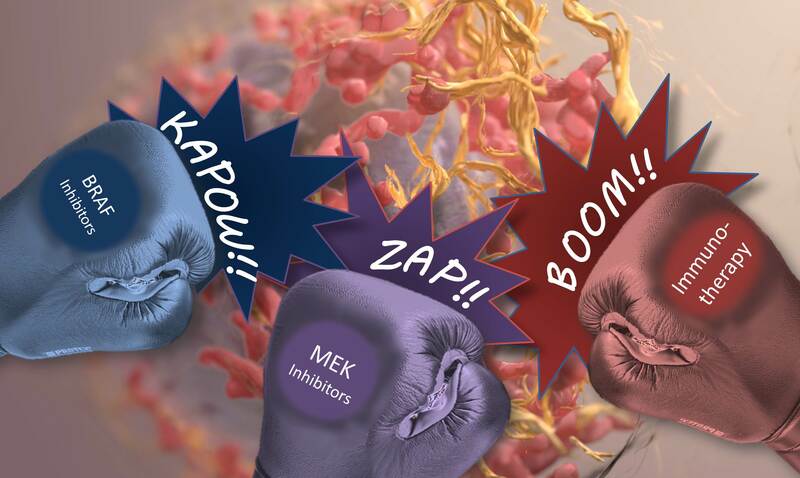 But the more we learn about cancer’s molecular complexities and the immune system’s response to tumors, the more it appears that we may need a precise combination of blows to defeat a patient’s cancer permanently, with no need for a later rematch. One cancer that provides us with a ringside seat on the powerful potential—and tough challenges—of targeted combination therapy is melanoma, especially the approximately 50% of advanced tumors with a specific “driver” mutation in the BRAF gene .